Ask any keen gardener and they'll tell you that to keep your lawn in shape you need more than a good lawn mower. Ever stepped on a thistle whilst walking barefoot through the garden? Not exactly what you want when you’re expecting to feel the grass tickling your toes. To avoid those nasty surprises, and keep your lawn thistle and weed free, turn to our range of smart lawn care solutions. 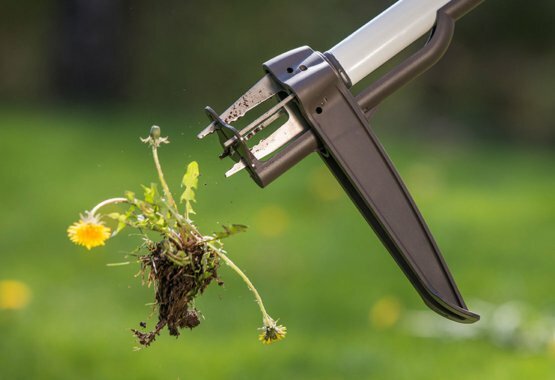 One great way to kick off the gardening year is to kick out weeds. Happily, with the spring soil being damp and aerated, it’s the best possible time to tackle these unwanted guests. 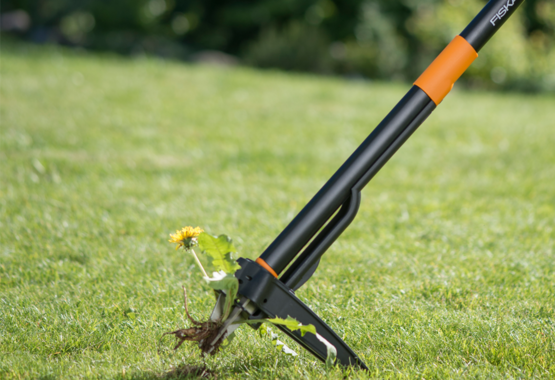 What’s more, with the Fiskars range of top tools, we can help you weed with speed. Designed to save you time, and your back from pain, Fiskars SmartFit™, Fiskars Xact™ and Fiskars Light are all made of light, durable aluminium. Their stainless steel blades and patented mechanism mean you can wave goodbye to both annoying plants and nasty chemicals.